The day of reckoning is approaching and the world does not have a contingency plan. The truth is that the world's output of conventional crude oil peaked in 2005 and global oil exports are also past their prime. Furthermore, the unconventional sources (tar sands, heavy sour crude, ethanol, natural gas liquids, bio-fuels and shale) are struggling to keep up with the ongoing depletion in the world's largest oil fields. Therefore, it is probable that the world's current production of total liquids is at or near maximum capacity. Veteran clients and subscribers will recall that we have been extremely concerned about 'Peak Oil'. However, for many years, ours was one of the lone voices in the dark. It is interesting to observe that up until 2007, various government sponsored energy agencies were extremely optimistic about their oil production forecasts. In fact, before it commissioned its first field by field analysis in 2008, the IEA used to claim that the world could easily produce over 110 million barrels of total liquids per day! Ironically, other agencies such as CERA and the EIA were even more liberal with their oil production projections and 'Peak Oil' was dismissed as a lunacy. Thereafter, in November 2008, the IEA released its World Energy Outlook 2010 report, which contained a thorough analysis of the world's 800 largest oil fields. In this study, the IEA admitted (for the first time) that most of the world's largest oil fields are depleting at a rapid clip and serious capital spending is essential to avoid an energy crunch in 2020. Although this report was a step in the right direction, in our view, the IEA was still painting an unrealistic picture. Fortunately, it has taken the IEA only two years to realise its mistake and its latest World Energy Outlook 2010 report presents a far more realistic scenario. According to its latest study, the IEA now expects global total liquids production to increase to just 96 million barrels per day by 2035! Bearing in mind the fact that the world currently produces 88 million barrels of total liquids per day, the IEA is now essentially implying that output will only increase by 9% over the next 25 years! It is notable that in 2009, the IEA stressed the importance of oil for economic growth and concluded that 106 million barrels per day will be required by 2030; representing an increase of approximately 18 million barrels per day above current output. Interestingly, in last year's report, the IEA predicted that global production will peak at only 96 million barrels per day in 2035! So, within the course of a single year, the energy watchdog for the developed world lowered its production estimate by 10 million barrels per day! To complicate matters further, the IEA's latest forecast of 96 million barrels per day of peak production depends on the assumption of finding an extra 900 billion barrels of oil over the next 25 years! However, given the fact that over the recent past, we have managed to discover only 10 billion barrels of oil each year, we cannot help but take the IEA's rosy forecast with a pinch of salt. Call us skeptics, but at the current rate of discovery, it will take us 90 years to discover 900 billion barrels of oil. Yet, the IEA somehow believes that this task can be accomplished by 2035! Figure 1 is taken from the IEA's World Energy Outlook 2010 report and it does a good job of capturing the sorry state of affairs. As you can see, the IEA now expects the output from the currently producing fields (dark blue area on the chart) to drop from approximately 70 million barrels per day to only 16 million barrels per day by 2035. Furthermore, the IEA also believes that 60% of oil production in 2035 will come from oil fields not yet found (light blue area on the chart) or developed (grey area on the chart)! Once again, call us sceptics, but we do not believe that oil fields yet to be found or developed will somehow succeed in offsetting the ongoing depletion. 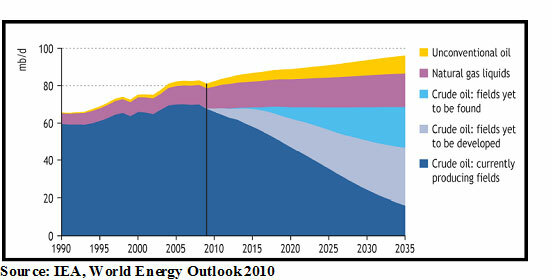 Figure 1: Admission of 'Peak Oil'? It is our contention that the world will struggle to produce more than 91-92 million barrels of total liquids per day and global demand will collide with available supply. Of course, we do not know the exact timing of this event but if global consumption continues to grow by 1.5% per annum, we will get there within the next 2-3 years. Needless to say, when aggregate demand hits available supply, the price of oil will rise sharply. More importantly, if demand continues to increase in the developed world, there will be a permanent shortage of crude and governments will probably end up rationing petroleum. Furthermore, it is our firm belief that ultimately, oil will only be used for its highest uses (agriculture and aviation). If history is any guide, the price of oil will not rise in a straight line and the secular uptrend will be punctuated by severe economic recessions. After all, the cure for a high oil price is a high oil price! At some point during the course of this business cycle, as the price of oil continues to rise, it will (once again) cause economic pain for the overstretched citizens of the developed world. When that happens, consumption will slow down and we will experience demand destruction in some parts of the world. In our view, the next economic recession will be caused by yet another spike in the price of oil and during the next business slowdown, crude will get whacked again. This is the reason why we will liquidate all our energy related investments prior to the onset of the next economic recession. Turning to the current situation, the price of oil is trading around US$90 per barrel (Figure 2) and during the course of this business cycle, we expect it to surpass its previous record of US$147 per barrel. In addition to crude oil, we are also optimistic about the prospects of uranium. As you may know, various nations are scrambling to build new nuclear reactors and this is good news for uranium (raw material used for a nuclear reaction). As the world approaches 'Peak Oil' and crude is conserved, demand for electricity will surge. Either that or the world will go back to horse drawn carriages which we seriously doubt! Furthermore, given the environmental damage associated with burning poor quality coal, the world will turn to nuclear energy to meets its energy needs. Therefore, worldwide consumption of uranium will appreciate over the following years and this will exert enormous pressure on mined supply. At the time of writing, the price of uranium has climbed to US$61.5 per pound and it is probable that it will at least double from this level. In the previous cycle, the price of uranium peaked around US$140 per pound and we will not be surprised to see that level exceeded within the next 2-3 years. Such a bullish scenario for uranium is great news for the unhedged uranium mining companies and a modest exposure to these stocks seems like a reasonable bet. In summary, given the reality of 'Peak Oil' and our bullish bias, we have allocated approximately 30% of our clients' capital to those assets which will benefit from the looming energy crunch. At present, we have exposure to upstream oil companies, integrated energy giants, oil services firms, renewable energy stocks, uranium and electric car/rechargeable battery manufacturers. It is our contention that these businesses will prosper over the following years, thereby rewarding our investors. Puru Saxena is the founder of Puru Saxena Wealth Management, his Hong Kong based firm which manages investment portfolios for individuals and corporate clients. He is a highly showcased investment manager and a regular guest on CNN, BBC World, CNBC, Bloomberg, NDTV and various radio programs. Copyright � 2005-2011 Puru Saxena Limited. All rights reserved.